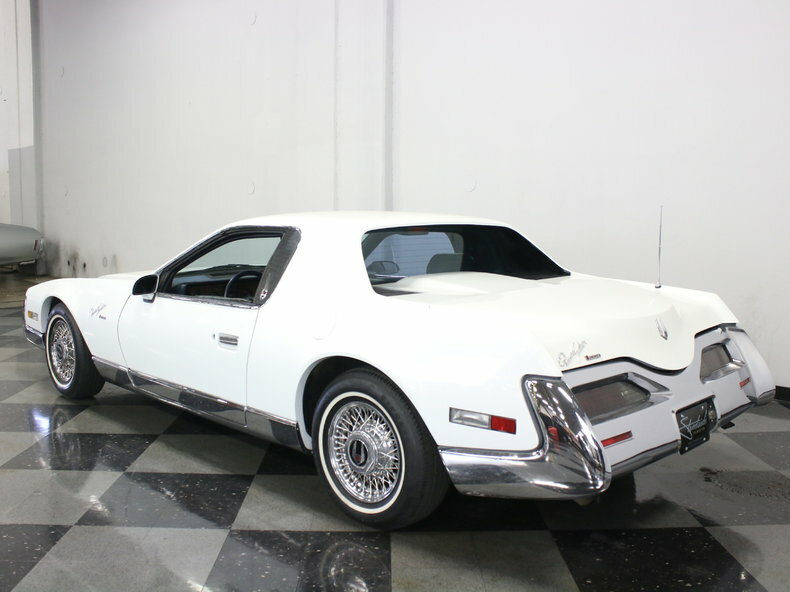 Find this 1987 Zimmer Quicksilver here on eBay offered for $17,995 or make-offer located in Ft Worth, TX. You might not recognize the names Zimmer or Quick Silver, but that doesn't make this 1987 Zimmer Quick Silver any less cool. Zimmer was a company that built extremely expensive bespoke Art-Deco luxury cars on modern chassis and the Quick Silver was an opportunity to build something a bit more affordable and a lot more radical. You have to respect the effort, because this is a very cool car. Believe it or not, there's a Pontiac Fiero under that baroque bodywork, although it's been almost completely erased by the Zimmer makeover. 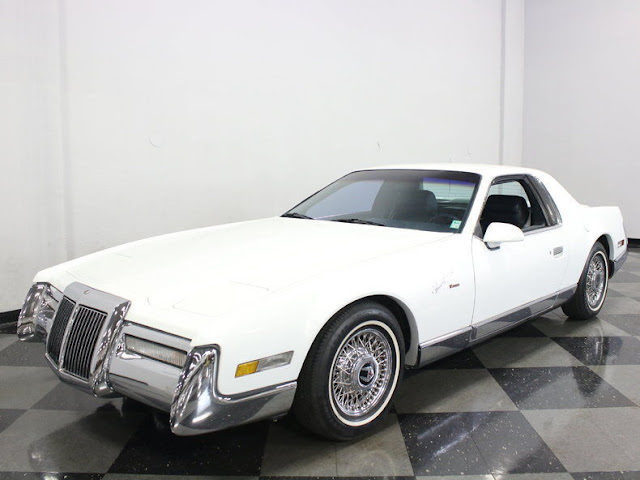 Looking more like a long, low mix of Lincoln Mark III and a Corvette, it's got a very unique look. No, it's not for everyone, but if you like being the center of attention and answering questions at gas stops, this car will do exactly that. The white paint shines up beautifully and it's nice that they didn't feel the need to add any graphics or needless add-ons, instead letting the unique bodywork speak for itself. The hood looks about a mile long, befitting a luxury car rather than a sports car, but the engine still lives out back so handling is tidy. Those giant chrome bumpers were surely hugely expensive and if you look closely, you'll spot Trans Am taillights tucked behind. 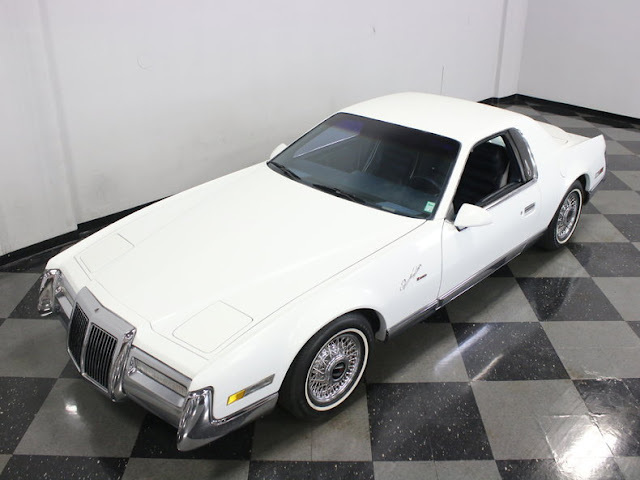 Special emblems, pop-up headlights, and a trunk lid that has a semi-Continental look all make this Quick Silver look like nothing else on the road. The blue leather interior was given a makeover to help disguise its Fiero DNA, and it feels sportier inside than it looks outside. Using supple materials makes it feel expensive, but they're showing some wear since they're not the same heavy-duty vinyl that GM used; the driver's seat outer bolster in particular is a bit worn. Blue carpets are far more plush than the original Fiero stuff and the dash has a real wood overlay covering the stock Pontiac instruments. 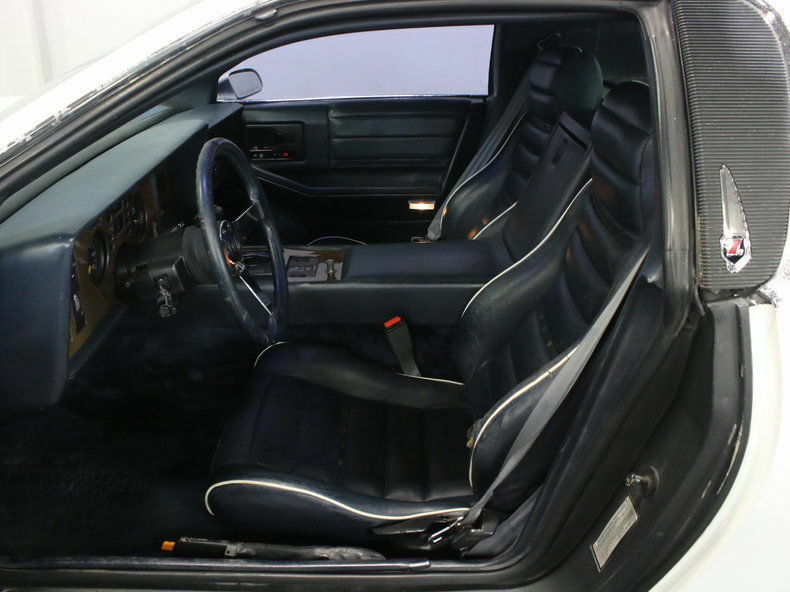 The custom steering wheel fits on the standard GM column, and everything that was optional on the Fiero is standard here: A/C, power windows, locks, and mirrors, an automatic transmission, tilt steering column, and a familiar AM/FM/cassette stereo with graphic equalizer (it was 1987, after all). That long nose conceals a downright gigantic trunk, and you also get the Fiero's slot-like storage bay out back, both lined with more heavy blue carpets. 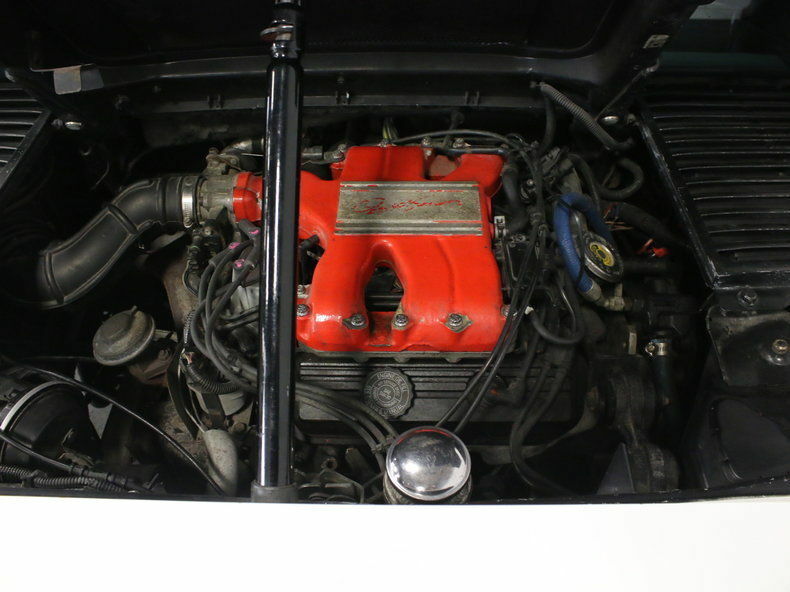 Pontiac's familiar 2.8 liter V6 engine was standard equipment in the Quick Silver, and thanks to the composite construction, performance is still lively. It's unmodified, so it'll be virtually bulletproof for decades to come and parts are easy to find and inexpensive, making this an exotic car that's very affordable to own. The driving experience is Fiero, so if you've been there, this will seem familiar, and with the passage of time, you can see that it really was a decent little car that never got its due. 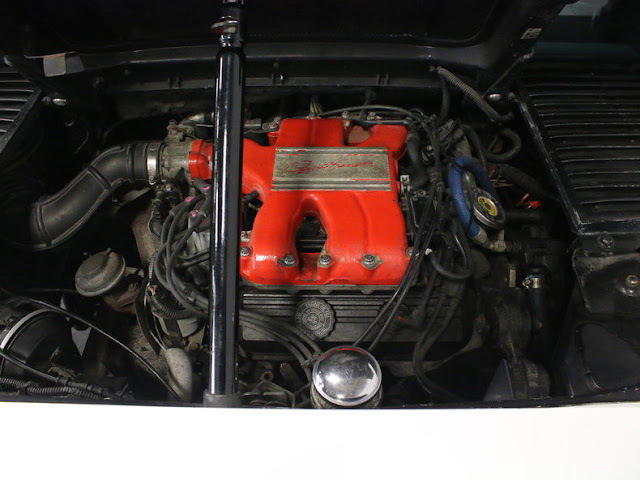 Service access is still through a hatch behind the rear window and aside from a red intake manifold and a special Quick Silver badge on top, it's completely stock. An all-independent suspension and disc brakes make it feel agile, although Zimmer tuned it for a more luxurious ride and the extra 16 inches of wheelbase helps smother the bumps. Those are real wire wheels, wrapped in 205/70/14 Firestone whitewall radials. Only 170 Quick Silvers were built at a cost of more than $50,000 each, making them quite exclusive. This one, with just over 35,000 original miles, is a nice specimen that's very reasonably priced. Call today! I like these for some reason. They're definitely different. Mechanically, though, I'd rather have a Lincoln Mark VII, or a BMW 635 of the same era.